Does anyone have the actual dimensions for how large and exactly where the shaker hood scoop opening is on the hood?...my son and I are bringing his 76 bird back to life and he wants a TA style hood in the worst way. We've gone out and looked at a couple (3) that we can find, each was priced over 250, and none were in very good shape, not even daily driver we thought. Did find a 78 for 100 and a 79 for 175, but of course, they don't work unless we change out the whole front clip. So we found a 73 hood for only $25, it's in repairable shape, only real problem is a small dent from a carb stud, which won't be a problem cause that will be cut out...and two hood pin wholes, which we never even thought of, but the more we do, the better we kinda like the option of hood pins. What do you guys think, any help is greatly appreciated! ps We'd much rather fabricate a "fake" TA hood than build a real Honda hood any day! :cheers It's time to put another Pontiac back on the road! Little far from me. I have a friend who might have a hood. We've got our grinder and cutting wheel just waiting for the weekend...lol! I agree with fireball wait for a template. if your going to chop it chop it right. I've never seen any in any of the catalogs (NPD Year One, PY, Paddock etc) this is gonna have to be a custom hand made huh? What I would do, is find a junk hood and cut the shaker hole out, and weld it in the other hood. That's just me though. That way it would have the lip that strengthens the hood in that area, instead of just being flat and looking like it was cut out. but still...he's (my son Jason 18 yr) holding firm and not going with all his friends advice to "scrap the old POS and get a Honda"....he's young, no budget, but he does have taste! Anyone got a 70-76 template they can send us? I am in Olympia..... Sorry dont have a TA hood just a plain hood. 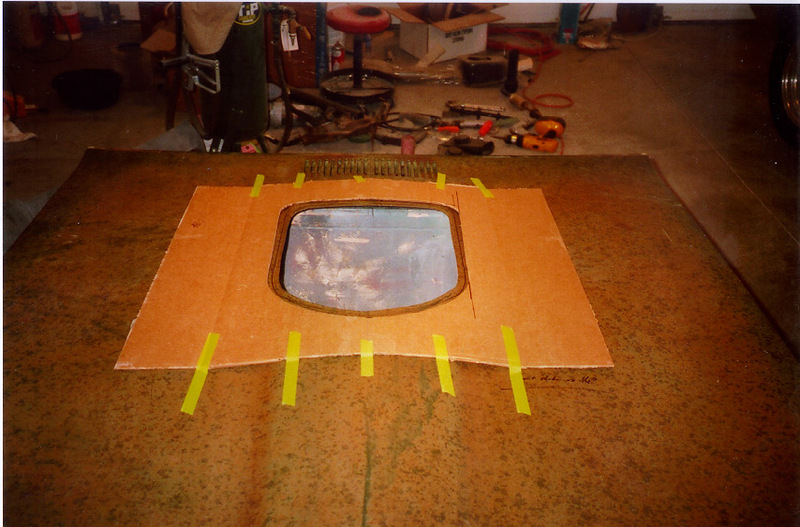 For the lip just get the template and mark it on the hood and then move in about 1/2 - 3/4 inch in then cut and bend down. Then you would have your lip. I have an extra hood that I was thinking about turning it into a 4" cowl hood. but we'll be going after the shaker as soon as we can...thanks for all your help guys!...but have to get this headlight prob fixed first...isn't it always like this?...lol...that's why we love 30+ year old Pontiac cars!! All times are GMT -3. The time now is 05:15AM.